Music the way it was meant to be…. Cupid Deranged Redux (released 14 Feb 2017) is a pet project that Alan Merrill has been promising himself for a while. After Cupid Deranged was initially released in 2002 he found himself less than fully satisfied with the way it sounded. The original version of the album has a hard-edged, big production that feels more like high 1980s power rock. He didn’t like the way the vocal was pushed back into a brassy, jangling mix, and he felt it could have been mixed better. The first track is Merrill’s signature piece. Alan Merrill wrote “I Love Rock N Roll” in 1975 and performed it weekly with his band Arrows on their fondly remembered eponymous pop/rock showcase, screened by UK’s Granada Independent TV channel. It was here that Joan Jett first heard the song that she later covered as her breakthrough hit. This relaunched album has a warm, mellow and organic feel with the new mix centered on Merrill’s rich vocal talent, which adapts so well to every style. 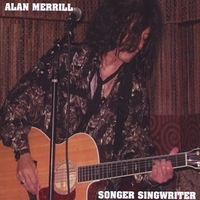 Alan moves effortlessly from full tilt rock, blues rock, and rock n roll, to soulful rhythm n blues, pure pop and gentle ballads with dazzling ease and professional flair, but always with feeling. I think it is that feeling that comes across so powerfully in this charismatic, more personal re-imagining of Cupid Deranged. Every song is strong and the performances full of verve and character. This album is a “must-have” for the collection and I recommend it.